Still Game Season 9 release date? 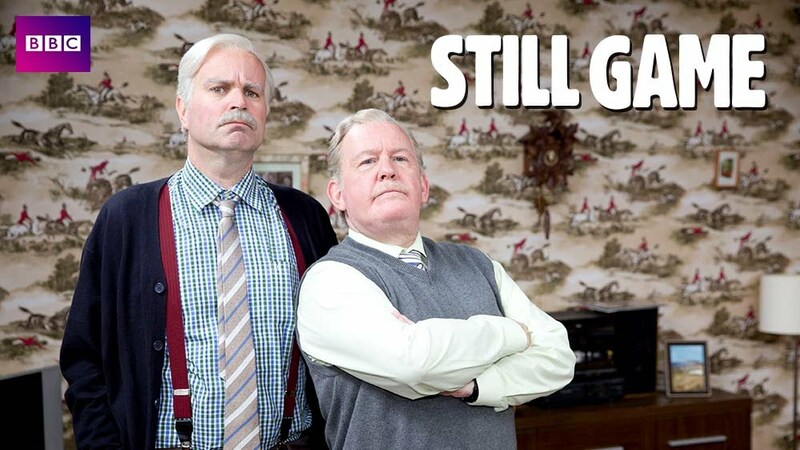 Still Game TV show cancelled or renewed for Season 9 on BBC One? When is BBC One Still Game Season 9 next on? Stop looking and start watching! We have the latest Still Game Season 9 cancellation and renewal status — and Still Game Season 9 premiere date news. This is the first official confirmation of the channel’s launch date following BBC Director-General Tony Hall’s 2017 announcement that there would be a new BBC television channel created for Scotland. Comedy partners Ford Kiernan and Greg Hemphill - the writers and stars of Still Game - are thrilled the series will be part of the new channel’s launch. Greg says: “Jack and Victor are a bottle being smashed on the bow of a beautiful ship and we’re absolutely thrilled to be launching Scotland’s brand new digital channel with the last ever series of Still Game." Steve Carson, BBC Scotland’s Head of Multi-platform Commissioning, says: “To have this iconic Scottish comedy launching on BBC Scotland is great news for our audiences and a fitting farewell to the gang that have made the nation laugh for over a decade. Ford and Greg are bringing Still Game home to Scotland and we are thrilled to have the final series at the heart of the BBC Scotland channel launch. The last-ever Still Game once again reunites all of Craiglang’s comedy pals including Jane McCarry (Isa), Sanjeev Kohli (Navid), Gavin Mitchell (Boabby), Paul Riley (Winston) and Mark Cox (Tam) for six new episodes. In 2017, Tony Hall, BBC Director-General announced a new BBC television channel for Scotland. The channel is part of the BBC’s additional £40m a year investment into the BBC in Scotland which will increase output for the UK. The initial budget for the channel is just over £32m. BBC Scotland will be multiplatform. It will have a home on iPlayer and be connected to BBC Scotland’s full range of Radio, Online, Social and other TV services. Still Game highlights the BBC’s continued commitment to production made in Scotland for UK-wide audiences including productions like Shetland, The Cry, The Victim and Two Doors Down.